Nicolás Pérez de la Blanca Capilla, received the M.S. degree in mathematics from the University of Granada in 1975 and the Ph.D. degree from the same University in 1979. His research areas have involved, data analysis, biomedical image processing, pattern recognition and image classification. He has co-authored more than fifty research papers in these areas. Now he is Professor at the Department of Computer Science and Artificial Intelligence of the University of Granada and the head of the Visual Information Processing Group at this University. 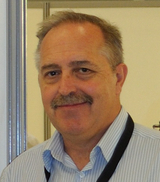 His current interest in research is the use of machine learning in the processing of images and video and the classification of medical images..
Rafael Molina was born in 1957. He received the M.S. degree in mathematics (statistics) in 1979 and the Ph.D. degree in optimal design in linear models in 1983, both from the University of Granada. He became Professor of computer science and artificial intelligence at the University of Granada, Granada, Spain, in 2000. His areas of research interest are image restoration (applications to astronomy and medicine), parameter estimation, image and video compression, and image and video super resolution. Francisco José Cortijo was born in Valencia, Spain, in 1967. He received the M.S. degree in Computer Science from the University of Granada in 1990 and the Ph.D. degree in Computer Science from the University of Granada in 1995. He is currently an associate professor at the Department of Computer Science and Artificial Intelligence (DECSAI) at the University of Granada. 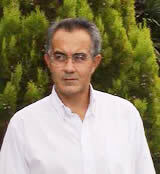 Dr. Cortijo is a member of the AERFAI (Spanish Association of Pattern Recognition and Image Analysis) an IAPR member. His main fields of research interest are image restoration, image classification, learning and Pattern Recognition. Javier Mateos was born in Granada, Spain, in 1968. He received his degree in Computer Science from the University of Granada in 1991. He completed his Ph. D. in Computer Science at the same University in July 1998. 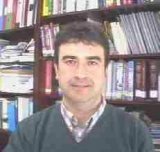 He has been assistant professor since October 1992 at the Department of Computer Science and Artificial Intelligence of the University of Granada. On March 2001 he became a permanent associate professor. He is conducting his research on image and video processing, including image restoration, image and video recovery and compression and super-resolution from (compressed) stills and video sequences. He is a member of the AERFAI (Asociación Española de Reconocimento de Formas y Análisis de Imágenes) and IAPR (International Association for Pattern Recognition). 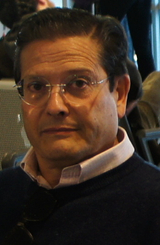 José M. Fuertes received the MS and PhD degrees both in Informatics from the University of Granada in 1992 and 1999, respectively. 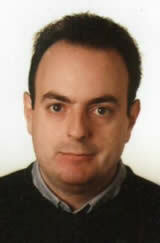 Since 1992 he has been with the Informatics Department at Jaen University. Currently he teaches at the Polytechnical Engineering School as an associate professor in Computer Science and Artificial Intelligence. His current interests includes Image Retrieval from Databases, Feature extraction from Colour Images, Tracking Algorithms, and Optical Flow. He is member of the IAPR association. 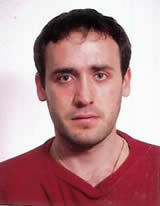 Javier Portilla graduated (M.S. '94, Ph.D.'99) from the Escuela Técnica de Ingenieros de Telecomunicación, Universidad Politécnica de Madrid, Spain. From 1995 to 1999 he worked as a research assistant at the Instituto de Óptica, Consejo Superior de Investigaciones Científicas, Madrid. 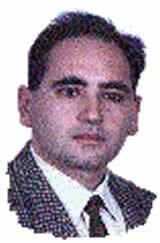 From 1999 to 2001 he collaborated, as a post-doctoral fellow, with Prof. Eero Simoncelli, at the Center for Neural Science, New York University. Currently he is an associate investigator within the Visual Information Processing Group, at the Dept. of Computer Science and Artificial Intelligence, Universidad de Granada, Spain. His research interests are focused on image representation models and their application to characterise and reproduce the statistical behavior of natural images and textures. His work has fructified in several texture synthesis and image restoration methods of both theoretical and practical interest. Antonio López Fernández was born in 1964. He received the B.S. in Physics with specialization in Electronic (1988) and the Ph.D degree in Computer Science (2002), both from the University of Granada, Spain. He is currently professor at the Department of Software Engineering at the University of Granada. His areas of interest include image restoration, nuclear medicine imaging and parameter estimation. 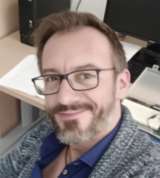 He has participated in different research projects supported by the Spanish Research Funding Agency CICYT and he is participating in the Spanish FIS project "Imagen Médica Molecular y Multimodalidad". 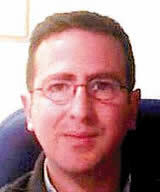 Manuel Lucena received the MS and PhD degrees both in Informatics from the University of Granada in 1994 and 2003, respectively. 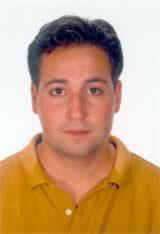 Since 1994 he has been with the Informatics Department at Jaen University. Currently he teaches at the Polytechnical Engineering School as an Assistant Professor in Computer Science and Artificial Intelligence. His current interests include optical flow, tracking algorithms, feature extraction from colour images, and image retrieval from databases. He is member of the IAPR association. Javier Abad was born in Granada, Spain, in 1968. He received his degree in Computer Science from the University of Granada in 1991. He has recently finished his Ph. D. thesis on wavelet image restoration with applications to super resolution problems. 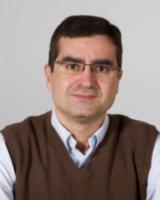 He is Assistant Professor since October 1991 at the Department of Computer Science and Artificial Intelligence of the University of Granada. His research interests are image and video processing, including mutichannel image restoration, image and video recovery and compression and super-resolution from (compressed) stills and video sequences. Born in 1973, received his degree in Computer Science in 1996. He became Assistant Professor in Computer Science in 1998 and currently he teaches at the High Technical College (E.P.S.) of the University of Jaén. He is member of the Department of Computer Science of the University of Jaén. He also is member of the Vision Information Processing research group (VIP) and the Spanish Association for Pattern Recognition and Image Analysis (AERFAI). His areas of research interest are computer vision, classification of chromosomes and design of a software platform for karyotyped. Belén Prados was born in 1978. She received the MS degrees in Computer Science from the University of Granada in 2001. Currently she is a Grant holder of the Computer Science Department at the University of Granada, where she is also carrying out his PhD studies. 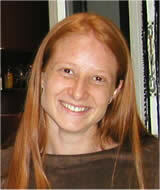 Her research interests includes information retrieval from image databases and soft computing image processing. Currently she is participating in the Spanish FIS project “Imagen Médica Molecular y Multimodalidad” (IM3). Luis David Alvarez-Corral was born in Granada, Spain, in 1977. He received the MS degree in Computer Science from the University of Granada in 2001. Currently, he is working at the Computer Science and Artificial Intelligence department of the University of Granada, where he is pursuing his Ph. D. degree with a scholarship from the Spanish Ministry of Education and Culture. His research interests include image and video resolution enhancement, particulary superresolution of compressed video within a Bayesian framework. He is also participating in the Spanish FIS project "Imagen Médica Molular y Multimodal". Mª Ángeles Mendoza was born in Granada, Spain, in 1975. 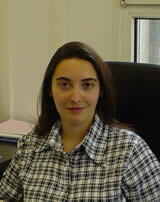 She received her degree in Physics from the University of Granada in 1999. From 2000 to 2001 she was a grant holder at the Instituto de Óptica ‘Daza de Valdes’, Consejo Superior de Investigaciones Científicas, Madrid, in the project: “the human eye like recipient of information: new techniques of measures and simulation of visual process”. Currently, she is carrying out her Ph.D studies and enjoy a scolarship from the Spanish Ministry of Education and Culture, at the Copmuter Science and Artificial Intelligence, into the project “Procesamiento y extracción de la información 3D de secuencias de vídeo para su uso en aplicaciones multimedia”. Manuel Jesús Marín Jiménez was born in Jaén, Spain, in 1980. He received the MS Degree in Computer Science from the University of Granada in 2003. Currently, he is assistant professor at the Department of Computer Science and Numerical Analysis of the University of Córdoba, Spain. His research interests include object detection and recognition in still images and human motion description and recognition in video sequences. 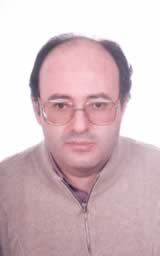 He is member of Visual Information Processing group, AERFAI and IEEE CS. José Antonio Guerrero Colón was born in Marbella (Málaga). He received his MS Degree in Computer Science in 2003 from the Escuela Técnica Superior de Ingeniería Informática, Universidad de Málaga, Spain. Currently his carrying out his Ph.D. studies and working in the project "Application of new visual-statistical models to the restoration of photographic images corrupted by blur and noise", funded by Ministry of Defense, at the Dept. of Computer Science and Aritificial Intelligence, Universidad de Granada, Spain. 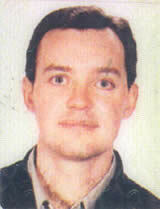 Luis Mancera Pascual was born in Loja (Granada) in 1977. He received the MS Degree in Computer Science from the University of Granada in 2001. From 2002 to 2004 he hold a grant from the Science and Technology Spanish Ministry at the European Centre for Nuclear Research (CERN) in Geneva, Switzerland. Currently, he is a Ph.D. student of the Visual Information Processing group, at the Department of Computer Science and Artificial Intelligence of the University of Granada, where he enjoys a pre-doctoral fellowship. 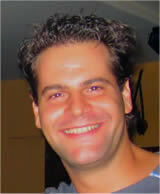 He is mainly interested in static image representation models and their applications. Elena Galán was born in 1979. She received the MS Degree in Computer Science from the University of Granada in 2003. 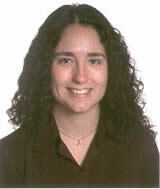 Her research interest includes soft computing image processing and biomedical image analysis. Currently she is carrying out her Ph. D. studies and she’s participating in the Spanish FIS project “Imagen Médica Molecular y Multimodalidad” (IM3). José Manuel Soto Hidalgo was born in Canillas de Aceituno (Málaga), Spain, in 1981. He received his MS Degree in Computer Science in 2004 from the University of Granada, Spain. 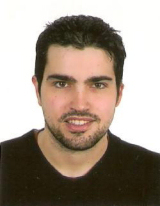 Currently, he is a Ph.D. student of the Visual Information Processing group, at the Department of Computer Science and Artificial Intelligence of the University of Granada, where he enjoys a pre-doctoral fellowship. 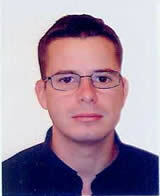 His research interests include image retrieval in multimedia data bases and softcomputing applied to image processing. was born in 1956 in Spain. He received the Bachelor Physics degree from the Universidad de Granada, Granada, Spain, in 1979 and the Ph.D. degree from the Universidad de Granada in 1984. He is with the E.T.S. Ing. Informática of the Universidad de Granada (Department of Lenguajes y Sistemas Informáticos), where he is Associate Professor and teaches software engineering. His research focuses on image processing (multichannel and superresolution image reconstruction). He has collaborated at several projects from the Spanish Research Council. was born in 1953. He received the B.S. in Physics with specialization in Electronic (1979) and the Ph.D degree in Computer Science (2011), both from the University of Granada, Spain. 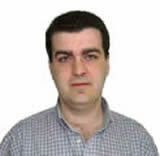 He is currently professor at the Department of Software Engineering at the University of Granada. His current interest is Superresolution. 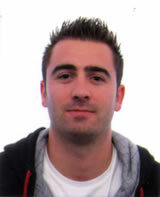 Miguel Tallón was born in Sta Cruz de La Palma (Sta Cruz Tenerife) in 1983. He received the MS Degree in Computer Science from the University of Granada in 2007. 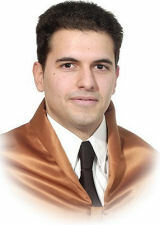 He was granted a research fellowship by the Science and Technology Spanish Ministry on November 2008 and started the PhD studies at the Department of Computer Science and Artificial Intelligence of the University of Granada. His research interests include superresolution and images restauration. Pedro Manuel Martínez Jiménez was born in Pedro Martínez (Granada) in 1977. He received his MS Degree in Telecommunications Engineering in 2001 from the University of Málaga, Spain. From 2001 to 2005 he worked for a telecommunications company as a sales engineer. Currently, he is a Ph.D. student of the Visual Information Processing group, at the Department of Computer Science and Artificial Intelligence of the University of Granada, where he enjoys a pre-doctoral fellowship. His research interests include static image processing, texture feature extraction and modeling, semantic image labeling and image retrieval in multimedia databases. Israa Amro was born in Hebron, Palestine, in 1982. 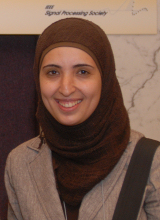 She received her degree in Computer Science from the University of Jordan, Jordan in 2003. She completed her Master Degree in Computer Information Systems at the same University in 2005, Master Degree in Multimedia Technology from the University of Granada in 2008, and the Ph.D. degree in Multimedia Systems from the University of Granada in 2011. She has been an academic instructor since March 2005 at the Department of Computer Information Systems of Al-Quds Open University, Palestine. Her research interest is image processing, including Super-Resolution Of Multispectral Images, Multispectral Image Pansharpening, Contourlet-based Bayesian Approaches, Multi-resolution based Pansharpening Methods. Pablo Ruiz Matarán was born in Granada in 1982. He received the MS Degree in Mathematics in 2008 and Master in Multimedia Technologies in 2009, both from University of Granada. 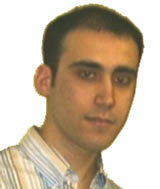 Currently, he is Ph.D. student of the Visual Information Processing group, at the Department of Computer Science and Artificial Intelligence of the University of Granada, and he is participating in the Spanish research programme Consolider Ingenio 2010: Multimodal Interaction in Pattern Recognition and Computer Vision (MIPRCV). His research interest include super-resolution and classification of multispectral satellite images, video retrieval from video databases and fusion of visible-infrared images.